So let's talk a little about sampling. Now if you've been listening to hip-hop - or really mainstream music at all throughout the past twenty years - you're well aware of this practice, taking a piece of music or sound and using it to build a different song, often warping or flipping it into something brand new in the process. But let's take this a step further, because normally when a hip-hop producer samples something, he adds to it with backbeats and a rapper to flow over it - the sample is not the only part of the composition. Enter plunderphonics, a fantastic word that describes a narrow subgenre of music where the compositions are entirely composed to samples merged and twisted together so that the fragments barely resemble the original piece and come together for a brand new whole. And what's all the more surprising is that there is often so many samples in these compositions that many are often uncleared, which can lead to a legal nightmare and is the big reason why we don't really see many plunderphonic records, or when we do the samples are often innocuous, from out-of-print videos or music from decades past, long forgotten by everyone else. 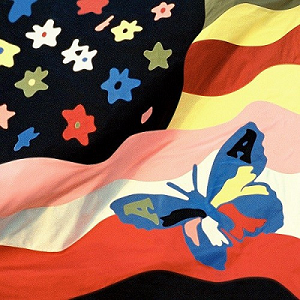 This takes us to The Avalanches, an Australian electronic group who released a plunderphonic record in 2000 called Since I Left You that would become critically acclaimed for its fusion of samples into a cinematic, world-crossing retro-disco experience. Now going back to relisten to this record... yes, for sure it's a very good record that demands a lot of attention, but I wouldn't say I quite loved it - I appreciated the emotive scope and real earnest power, but it does have its moments that drag and you'd like to think that The Avalanches would have a little more ambition in the final product to make more than 'string section disco', to paraphrase Robert Christgau. And yet from that point it has taken sixteen years to follow it with a new album called Wildflower, which was reportedly created to thematically recapture the euphoric feeling of summer roadtrips, mostly pushed through 60s psychedelic pop. Okay, bit of a smaller scale, but I was definitely intrigued - so did The Avalanches manage to deliver? Okay, to explain my full thoughts around this record, you should all know some context, and that one of my favourite records of all time is Brian Wilson's SMILE, a passion project that many thought he'd never finish but was eventually released in 2004 to rave reviews that deserved beyond all measure. It is a pure pop record, touched with psychedelia and Americana in its conceptual roadtrip across the US but never compromising that childlike, borderline cartoonish optimism that Wilson made mean so much more. I say all of this because Wildflower reminded me a lot of SMILE with every listen, at least on the surface of the goofier textures and moments of raw optimism tempered with a deeper sadness that comes with chasing dreams your heart will never let go. And yet I don't think Wildflower pulls it off - it's definitely on the cusp of that, so close to capturing that magic... but it only gets there in snippets, some transcendent moments that unfortunately render much of the material around it so much retro kitsch. And look, you're not going to find more of an easy audience for that sort of sound than me... but this could have been magical instead of just very good, if only a shade away from pure greatness. And to explain this, the first thing that needs to be noted is that this isn't a pure plunderphonics record - rap verses were specifically recorded for it from Danny Brown, Biz Markie, Camp Lo, AD.d+, and even MF Doom himself, plus there are added backing vocals from Toro y Moi, Jonathan Donahue of Mercury Rev, Father John Misty, and even Ariel Pink himself - although good luck hearing either of them, as their voices are nearly buried within the swirling melodies and fidelities of this record. But the sample-heavy nature remains here, if anything going older than the retro-disco of Since I Left You to the psychedelic pop of the 60s and early 70s, with a fair few obvious Beatles samples to boot. And look, I admire the hell out of plunderphonics music, where the process and ability to fuse so many disparate elements together to make a new whole elevates the final work... which is why such obvious sampling can feel a bit distracting. Oh, don't get me wrong, the flow on 'Frankie Sinatra' of Danny Brown to MF Doom to a sample from 'My Favourite Things' is a great early highpoint on this record, especially all set against an instrumental interpolated from 'Being For The Benefit Of Mr. Kite' by The Beatles - all of that is awesome, but setting the bar that high only places lower points on this record in sharper comparison. Similar thing with the goofy chomps on 'The Noisy Eater' with national treasure Biz Markie, complete with vocal samples from 'Come Together' by The Beatles - it's garish and kooky with the horns, bass drum, beatboxing, bombastic strings, and even a theremin, but that sets a bar for outlandish energy and flair that most of this record struggles to recapture, particularly in the more psychedelic folk tracks. In fact, I'll go against the critical consensus and say that the hip-hop segments were nearly all absolutely great - between Danny Brown's manic energy, Camp Lo's New York swagger, and MF Doom's twisted flow, they helped ground this record in a way it desperately needed. Now you might wonder why it'd need such grounding - hell, early on the record it can hold the balance between cartoonish flair and deeper pathos pretty effectively, even if I'm not always wild about how the songs can't keep a consistent fidelity of sampling. 'Because I'm Me' has the feel of a forgotten classic of New York hip-hop, and how it breaks into the grimier 'Frankie Sinatra' and the slightly more futuristic disco sparks of 'Subways' impressively grabs the atmosphere, even if the usage of child choruses repeatedly goes right to the line of kitsch. And when the slightly flat synth tone plays against the chimes, flute, and sounds of traffic that fades into the sandy psychedelia of 'If I Was A Folkstar' from Toro y Moi, I was on board. Where this record started to lose itself for me was Jonathan Donahue's crooning over 'Colours', complete with inverted samples, compression, and a LSD-soaked backdrop - not that it was bad, but that I got the feeling it was heading towards the airheaded hippie meandering that tends to be hit-and-miss for me. Sure, 'The Noisy Eater' deflected from that and I dug the spacey flourishes of the title track interlude, but then we have 'Harmony', which quite literally contains a sample from Sesame Street, which with the richer vocal harmonies and sleigh bells manages to just transcend being too saccharine for its own good. And then, right after Paris Pershun's rap verse, this record settles into an extended lull that desperately needs the sort of spark or shift in mood that 'Frontier Psychiatrist' brought to Since I Left You. Sure, I was thrilled to hear Danny Brown again on 'The Wozard of Iz' that goes against glassy fragments, heavy drums and an alien voice displaying magic and demanding surrender, but then the track gets lost in its own compression and a Shondells sample that didn't quite click with the rest of the track. And along with the sandy acoustics and banjo on 'Park Music', the clunky easy listening warbling of 'Sunshine' that got incredibly annoying in a hurry, and the glassy wonkiness of 'Kaleidoscopic Lovers', this album only breaks free of that lull with 'Stepkids', where I might not have liked Jennifer Herrema's vocals or that you could barely hear Warren Ellis' violin, but the lyrics at least tried to bring things back to earth. And that's something that needs to be highlighted: if you can follow the sound effects, radio snippets and fragments of conversation between the psychedelic meandering, this is a road trip record, from the subways of New York to beaches along the coast, all of which seems to culminate in a spoken word piece from David Berman at the end of the album on 'Saturday Night Inside Out' which seem to imply a long lost reconnection that might be fleeting but inspires so much more... that I wish the music could remotely pay off. Sure, with the liquid guitars and chimes and sandy percussion against the ebbing, stuttering tides of lo-fi melody, it has the mark of an Ariel Pink-esque dramatic climax, and yet it doesn't stick the landing, instead just fading out into a long twenty seconds of silence with nothing to really bring it together. And that kind of undercuts the dramatic impact for me - for as much as there are grounding, more gritty moments, there's an element of wistfulness that only comes through sporadically that this record desperately needs to transcend the kitsch of it all. So look, please take this review with a grain of salt, because I desperately wanted to love this album. There are points that were always going to hold me back - the seams of the plunderphonics formula tend to bug me, because even despite great transitions the fidelity and compression shifts did get on my nerves - but this album could have transcended that if it had a little more grit and dramatic momentum. And sure, parts of Since I Left You had similar issues in terms of stakes, but you got the feeling the glitz was overshadowing a deeper heartbreak and connection that had real pathos, whereas here it was more ephemeral, and that meant it didn't quite connect as well. As such, while I'm giving this a strong 7/10, I definitely encourage you all to check this out: it's the sort of rare release that definitely deserves a ton of attention and there really are some transcendent moments that I found incredibly enjoyable. And hell, if it took The Avalanches sixteen years to make this, I'd argue it was mostly worth the wait.